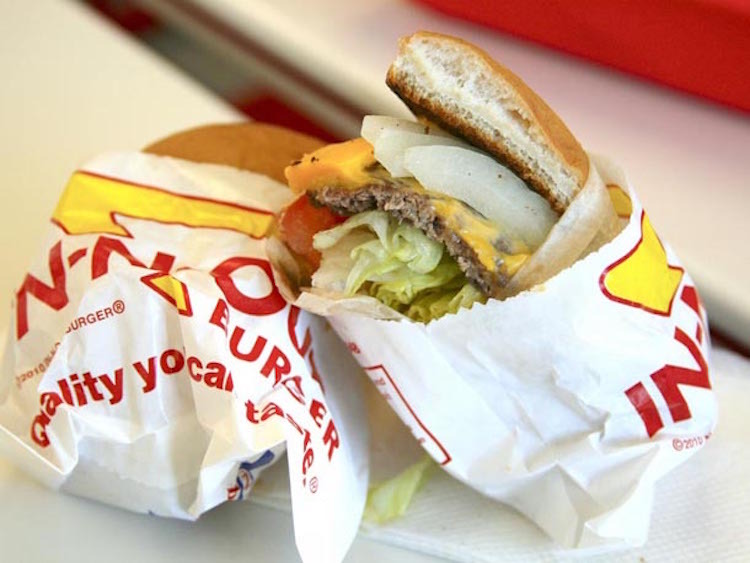 Forget the Animal Style, In-N-Out’s got more secrets you wish you knew sooner. In-N-Out claims that they don’t have a secret menu. 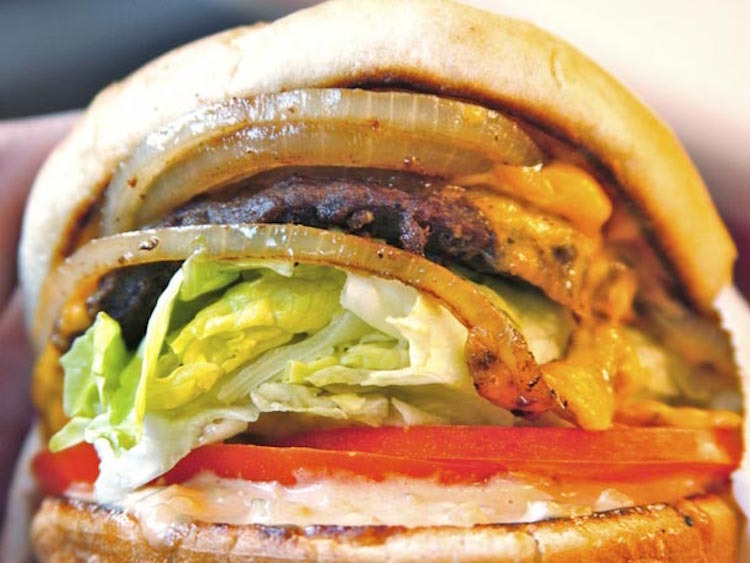 They’ve even added a “Not-So-Secret Menu” on their website, stating that these popular items are merely how some of their customers like their burgers prepared. But is that really so? 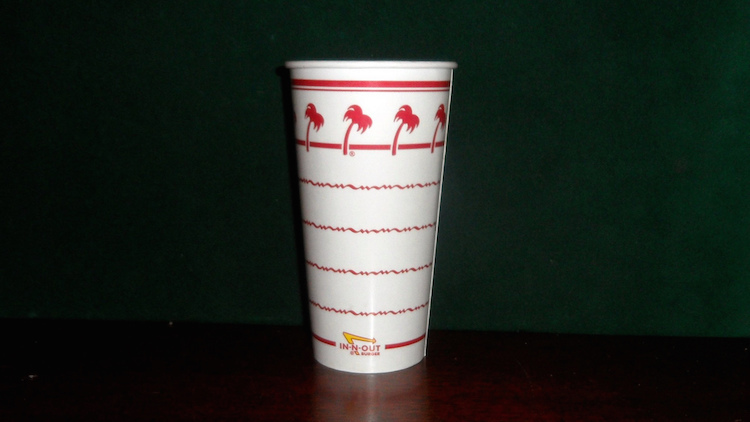 In-N-Out is known for its expansive menu and excellent customer service. What this really means is that there are a ton of options beyond the menu to combine ingredients and customize your very own order. 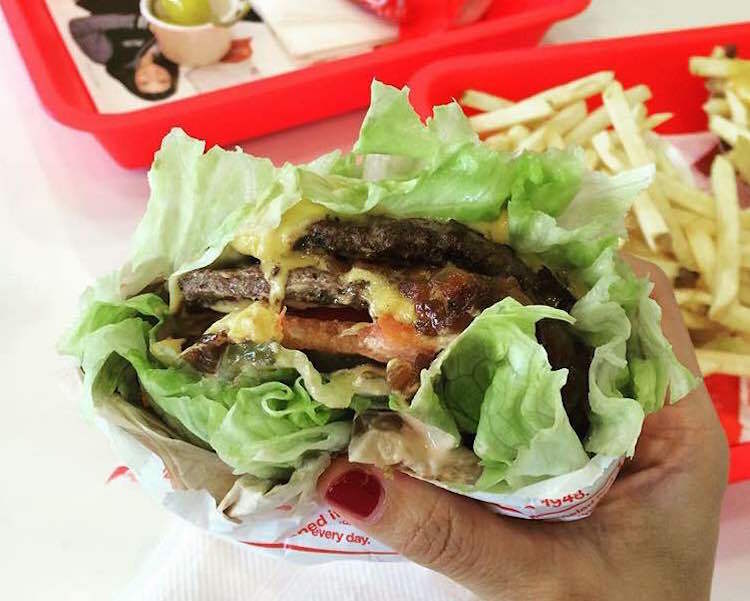 There’s more to In-N-Out than just the famous Animal Style and Protein Style burgers. But don’t worry, because we’ve got you covered with some delicious modifications that often come at a great bargain. 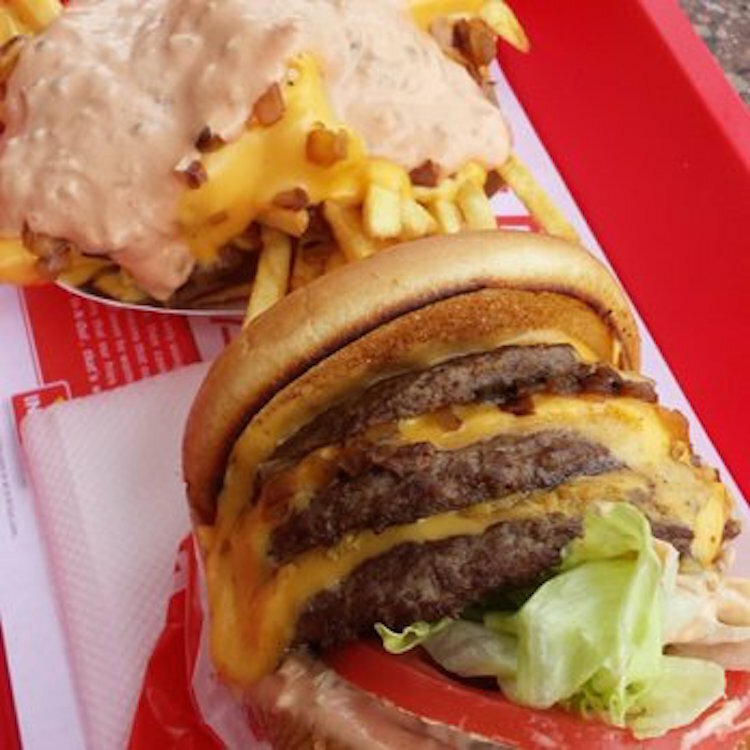 It’s time to hit the road again and upgrade your usual In-N-Out order. (And for those of you on the East Coast, we’ve got you covered on how to get the most out of your Shake Shack experience). Double the meat, double the pleasure. But this should not be confused with the Double Double which is double meat and double cheese. 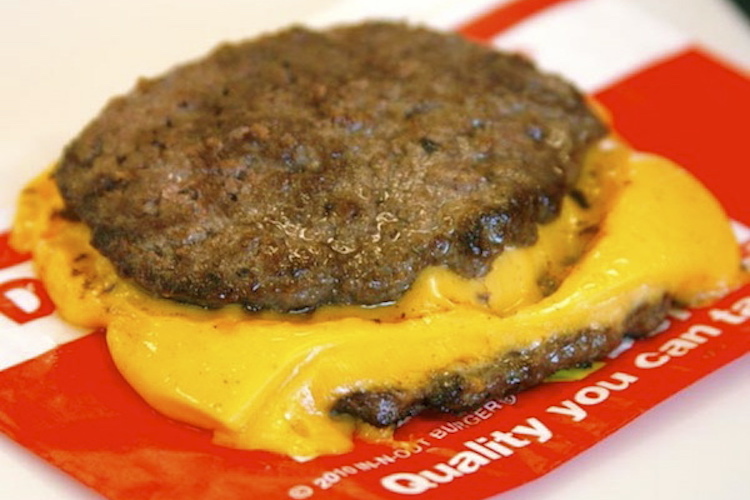 The Double Meat Burger is made up of two 100 percent pure beef patties and only a slice of cheese along with your regular burger ingredients. 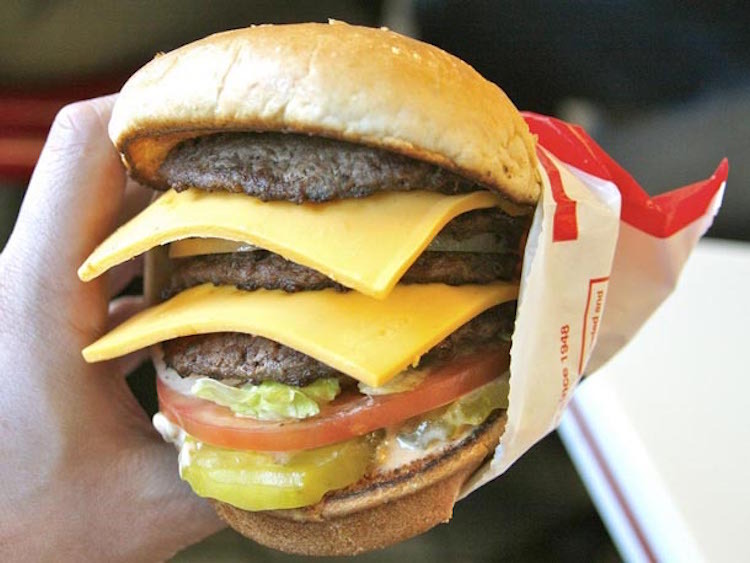 Now for those of you not satisfied with just a Double Double or a Double Meat, In-N-Out satisfies you with three beef patties and three slices of cheese. 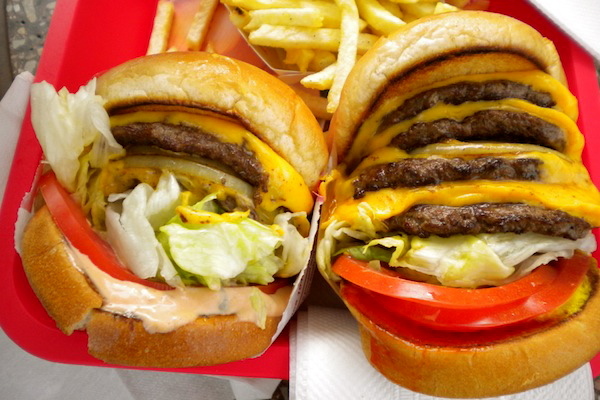 And if you’re that into symmetry, I guess you can even ask for two extra buns on the side. If you’re simply just a voracious eater with a wide enough mouth, the 4×4 ® comes with four beef patties and four slices of cheese stacked high on a freshly baked bun. Nothing beats a classic grilled cheese sandwich. 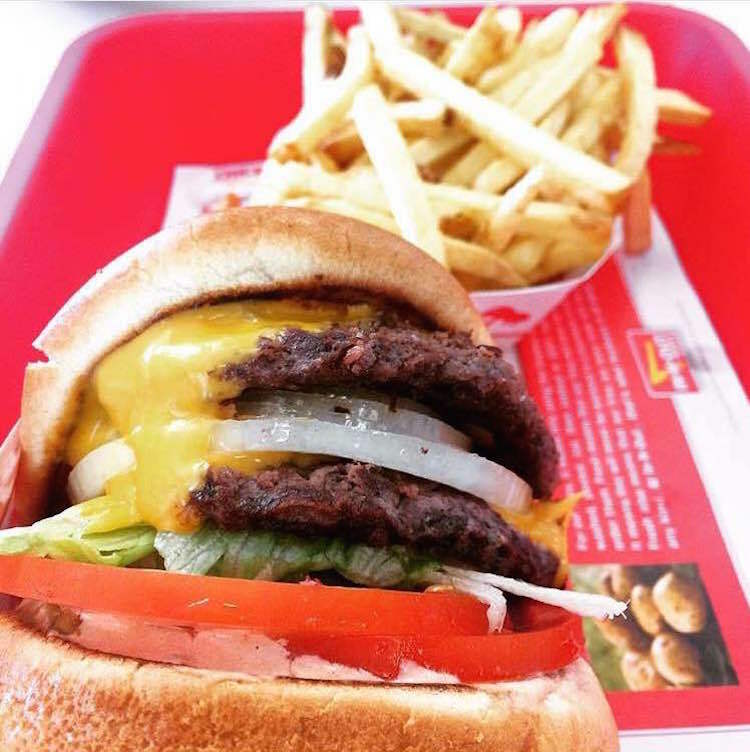 It’s a vegetarian option here at In-N-Out, but a really great one. 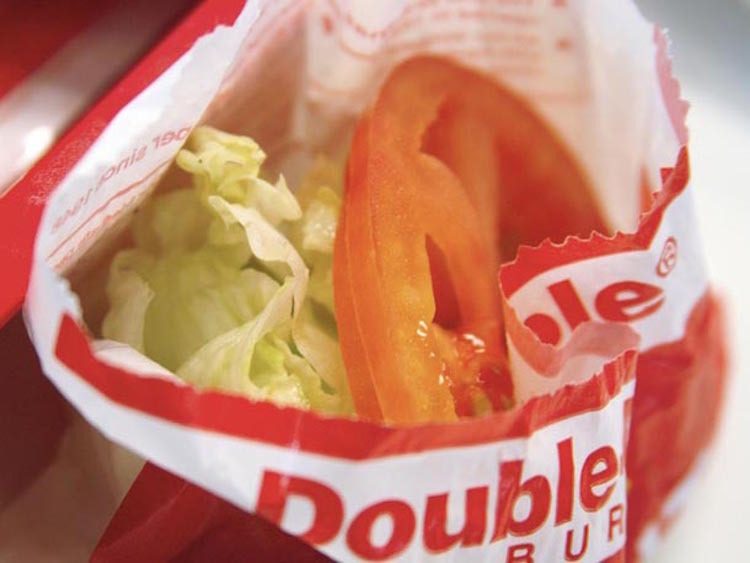 This is essentially your favorite burger in wrapped in a couple of lettuce leaves instead of hamburger buns. Not only is it the ultimate carb-cutter and perfect for those trying to avoid gluten, it is surprisingly refreshing as well as the lettuce adds some freshness to the burgers and cuts all that rich meaty flavors. 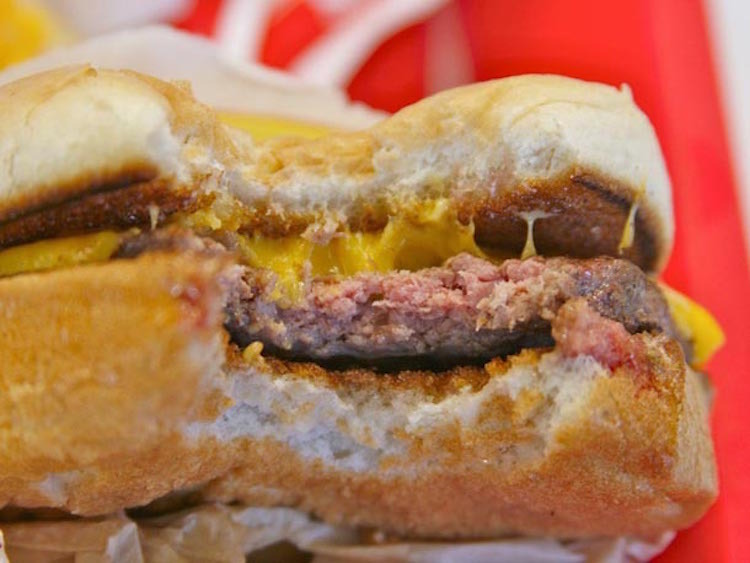 Everyone knows about In-N-Out’s decadent Animal Style burger. In addition to the standard toppings, the Animal Style burger includes pickles, extra spread, grilled onions and a mustard-grilled patty, resulting in literally a sloppy mess on your table, but an explosion of flavors in your mouth. Pretty typical ingredients I would say. 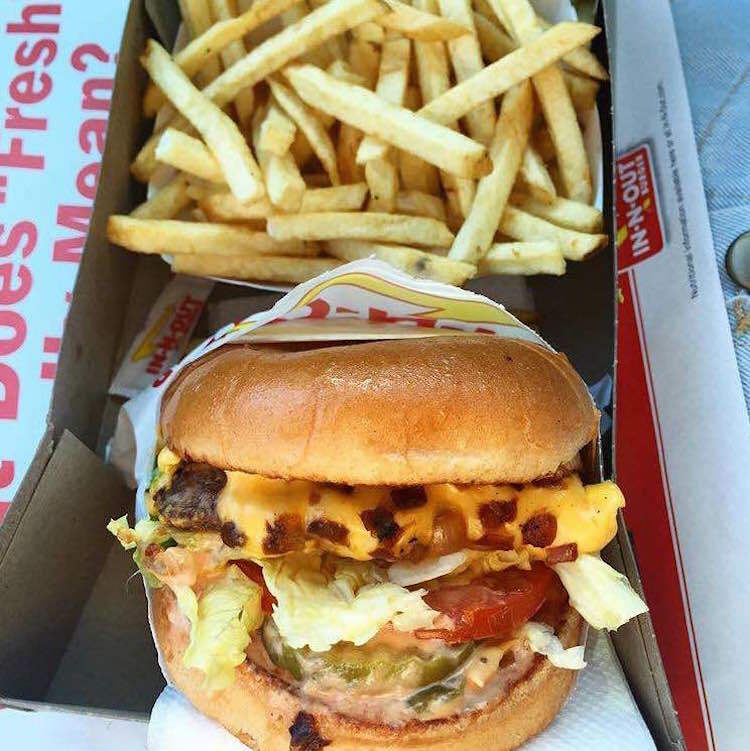 But somehow In-N-Out has gotten the perfect combination of ingredients, in the right amount, to create a one-of-a-kind burger with absolutely original flavors. If cheese is your thing, order a “1×4” burger which is essentially one beef patty and four slices of American cheese. 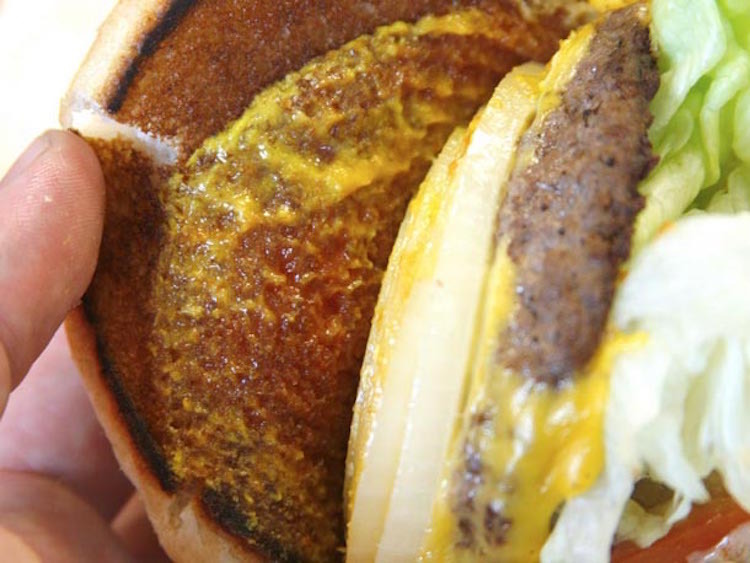 Granted, melted cheese oozing out of your burger is always a delicious sight. But I bet you didn’t know that you could play around with the ratio. For example, the “2×4” gives you two beef patties and four slices of cheese, and the “3 by Meat” is three beef patties with no cheese at all. There’s definitely something for everyone, whether you’re an extreme meat-lover, a cheese lover, or if you’re lactose intolerant. If melted cheese isn’t your thing, or if you’re not up for all that gooey mess, you can ask for a cold slice of cheese instead (but why???). This is essentially just two beef patties and two slices of cheese. That’s it. 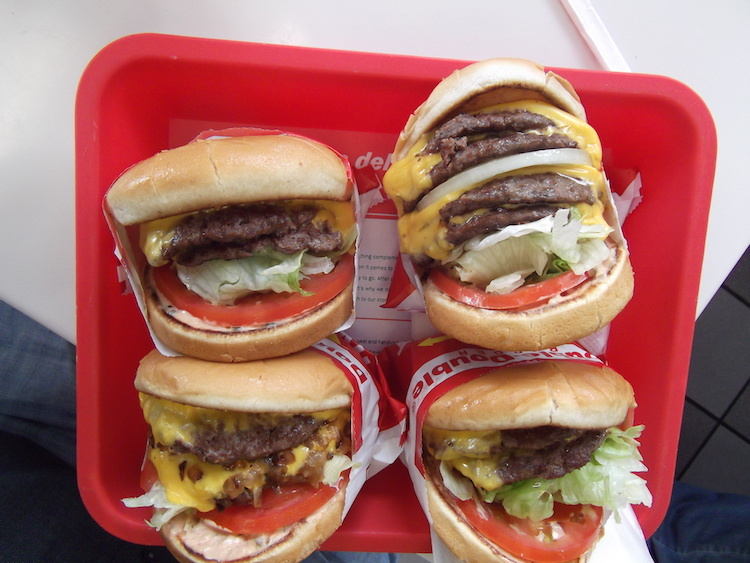 You can definitely request for a Flying Dutchman “Animal Style” or you can play around with the meat to cheese ratio. Word of caution, though, indulging in this savory mountain of meat and cheese will undoubtedly get sloppy and messy and messy really fast. So make sure you have a stack of napkins in front of you even before you begin. Slathering mustard on the beef patty before grilling it results in a burger with a powerful flavor punch. This is definitely one trick that you can try whenever you make you grill up your own homemade burgers. There are no veggie patties at In-N-Out. But for vegetarians, your veggie burger comes with no beef patties at all. 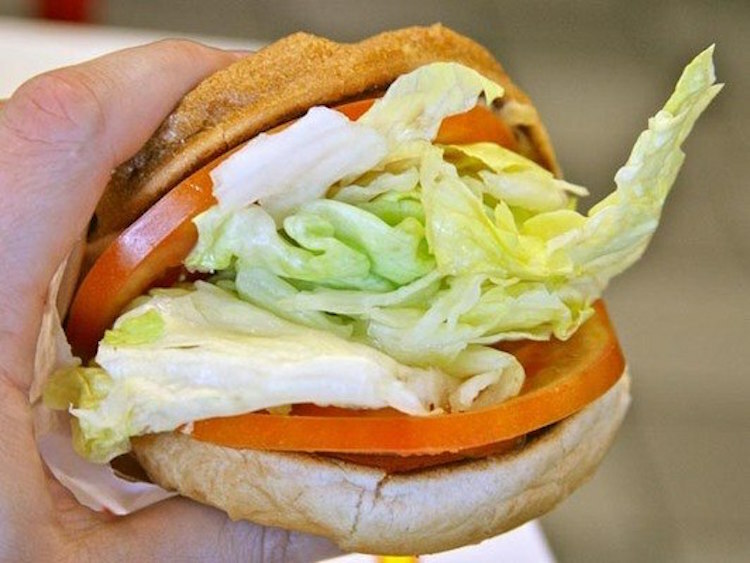 But what you do get is tons of delicious grilled onions, lettuce, sauce and double the tomatoes. Feel free to add on extra ingredients and condiments at no extra cost. This is the ultimate money saver. If you’re looking to cut down your calorie intake, or if you’re looking to try a variety of items on the menu with your friends, you can always request your burger to be cut in half. Who knew you can even request your beef patties cooked according to your liking? 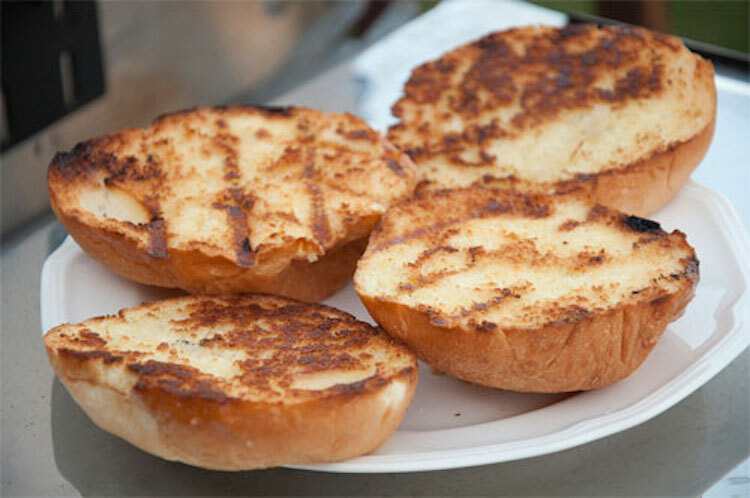 They’ll grill your buns for just a minute longer, resulting in a bun with an extra crisp bite. This also prevents your bun from becoming soggy as a result of the sauce and juicy condiments. Melted cheese, spread, grilled onions and pickles atop a pile of hot, French fries. Glorious. 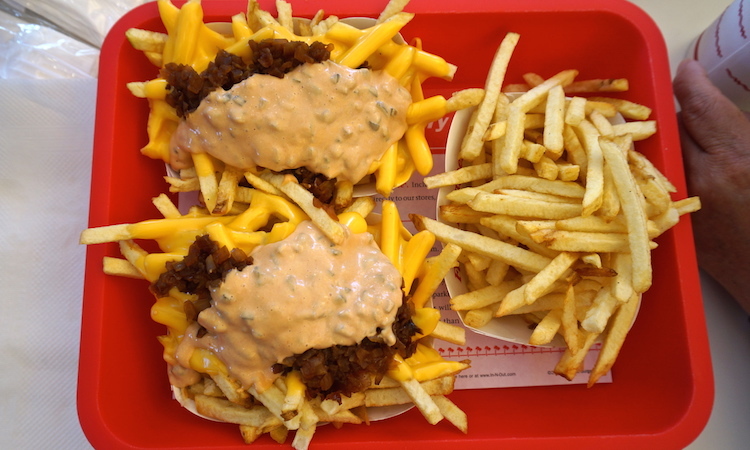 Better still, you can even make your own animal style fries at home. 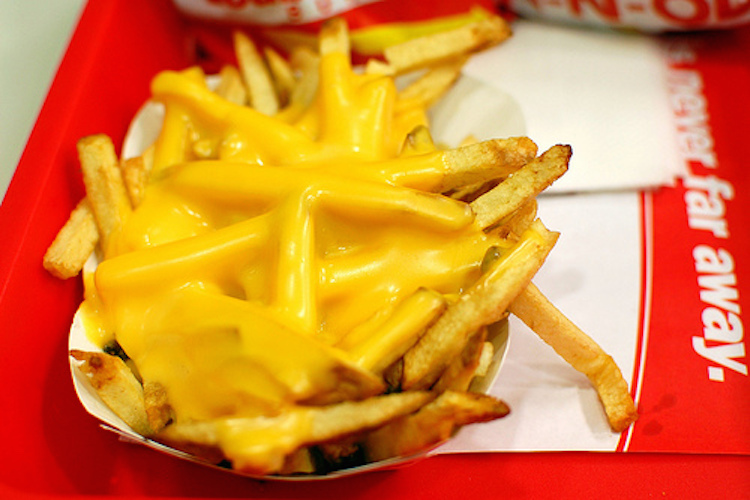 Everyone knows that Fries + Melted cheese = Heaven. 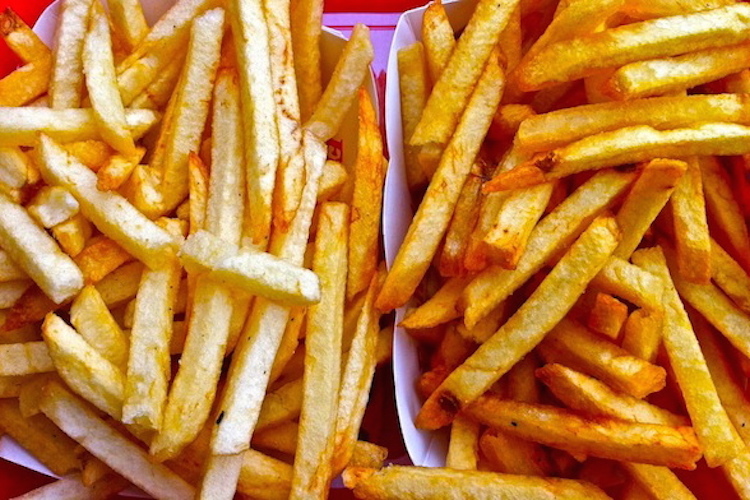 There’s absolutely no way you can resist glorious decadent fries. 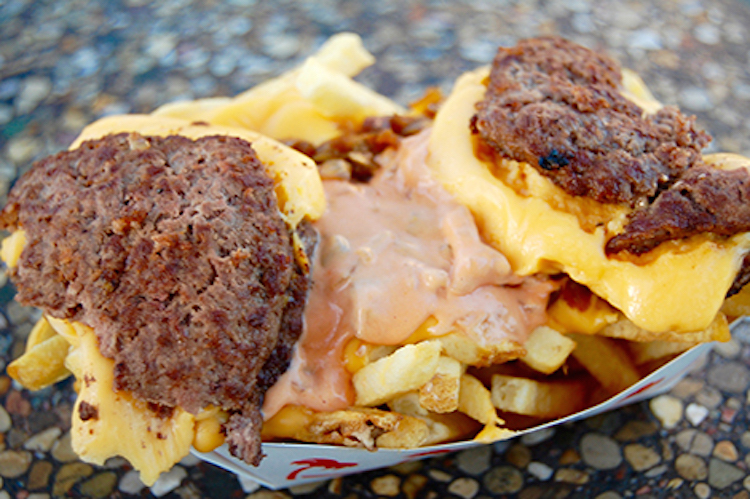 If cheese fries aren’t enough, get the Roadkill Fries – a Flying Dutchman on top of your Animal Style Fries. This is definitely one of those absurd creations and definitely not for the faint-hearted, but worth every bite. Remember to cancel all your afternoon plans because this will send you into a major food coma. You can ask your fries to be cooked well done or light. While Light Fries leave you with slightly undercooked fries that are tender and a little soggy, Well Done Fries leave you with delicious, golden brown sticks of really crisp fries that taste almost like potato chips. These ingredients can be added onto both your burgers and fries at no extra charge. 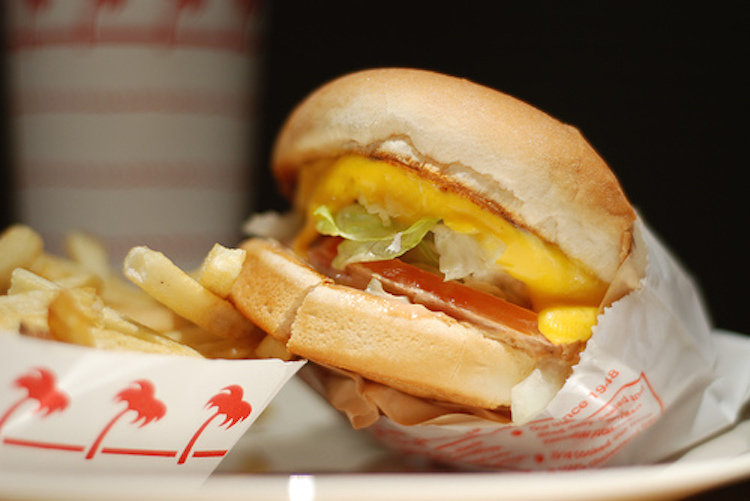 In-N-Out usually sprinkles salt on the beef patty before grilling, and on the fries after it comes out of the fryer. 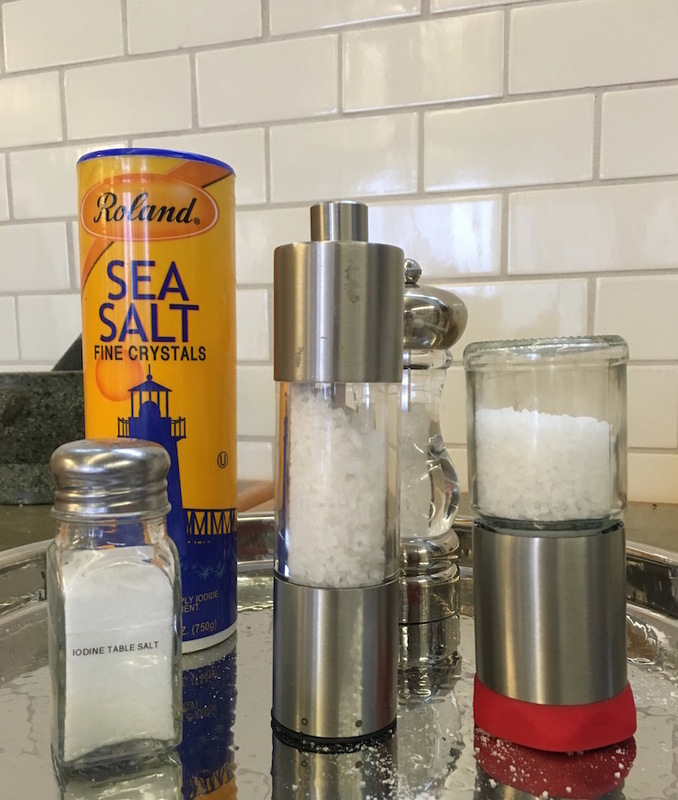 Customize your sodium level by asking for extra salt at no extra charge or no salt at all. In-N-Out allows you to decide exactly how you want your onions to be cooked and prepared. A burger usually comes with a slice of fresh raw onion, but In-N-Out will gladly serve you perfectly grilled, caramelized onions, chopped up into little bits or whole however you want it to be. If you really love onions, you can even get both raw and grilled onions in your burger. 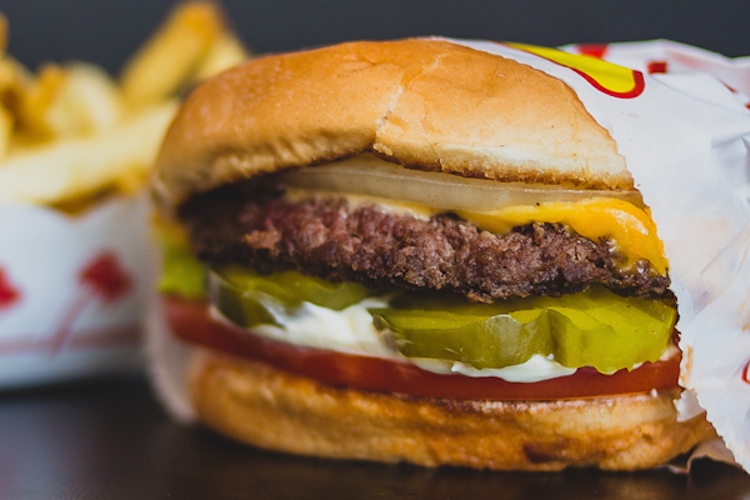 The only time you get pickles on your burger is when you order it “Animal Style.” But if you just want pickles without all that additional topping, you can request for pickles to be added into your burgers. You may want to ask for extra lettuce and tomatoes if your burger order includes a mountain stack of beef patties and cheese. Or, you could even ask for a side salad and they’ll happily bag it to you in a double-double wrapper. These little things are spicy. 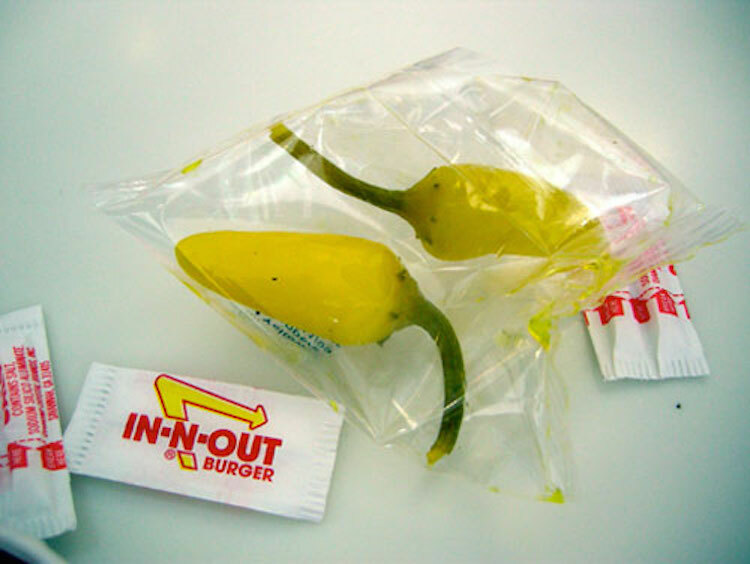 If you want an extra kick in your burger, you can request for chopped chilis to be added right into your burger, or you could request for a packet of them on the side. You can even add these chopped chilis to your cheese fries to create your very own Chili Cheese Fries. 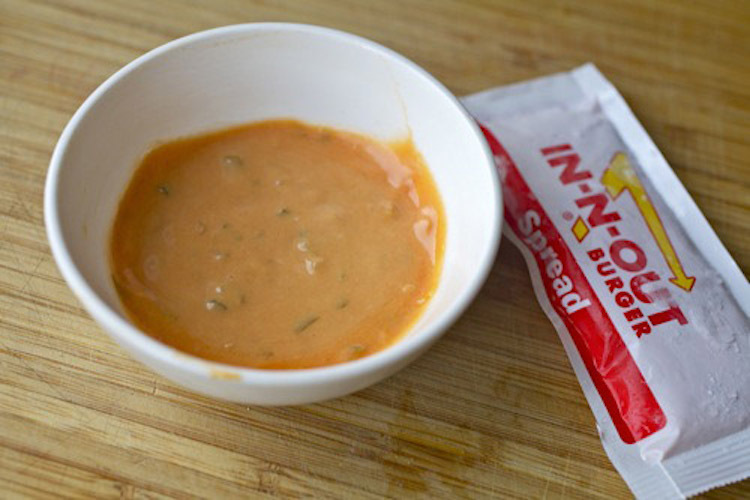 Everyone knows that In-N-Out’s Signature Spread is simply irresistible. But what only a few know is that you can simply ask for a few extra packets when placing your order. Feel free to dive right into the sauce with your burgers and fries, we understand. 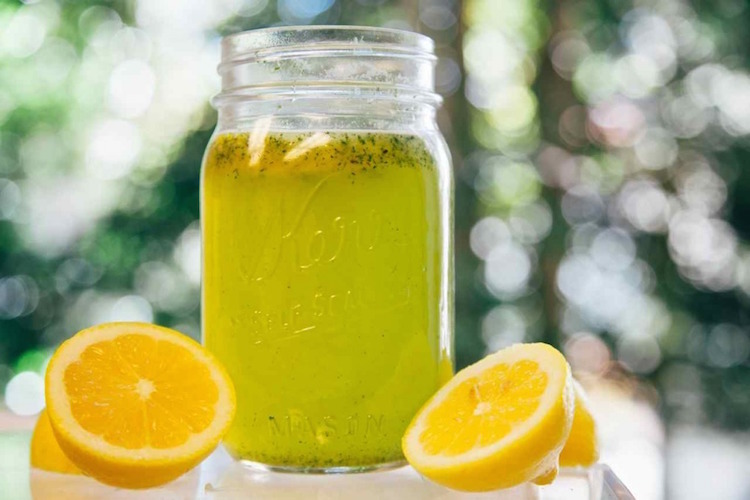 This is a refreshing combination of lemonade and 7-Up. 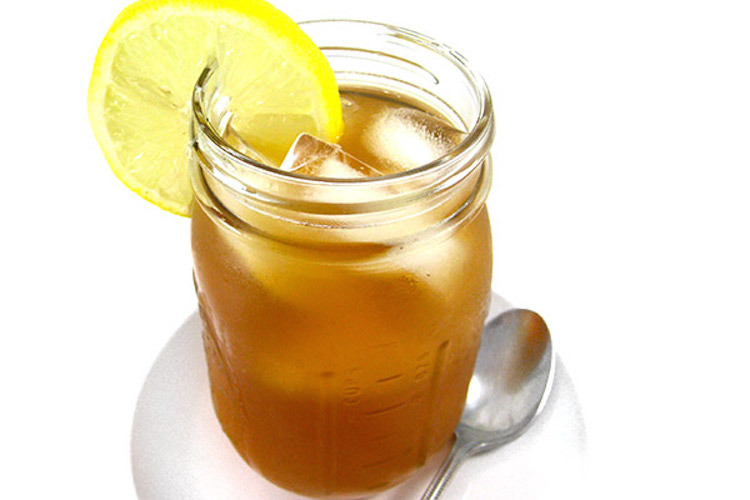 Also known as an Arnold Palmer, this is a combination of lemonade and iced tea. Why get one flavor when you get all three? This is a milkshake made with equal parts vanilla, chocolate and strawberry ice cream. This has got to be one of the best milkshakes in the country. This is chocolate milkshake and vanilla milkshake combined and swirled together to create one delicious milkshake. 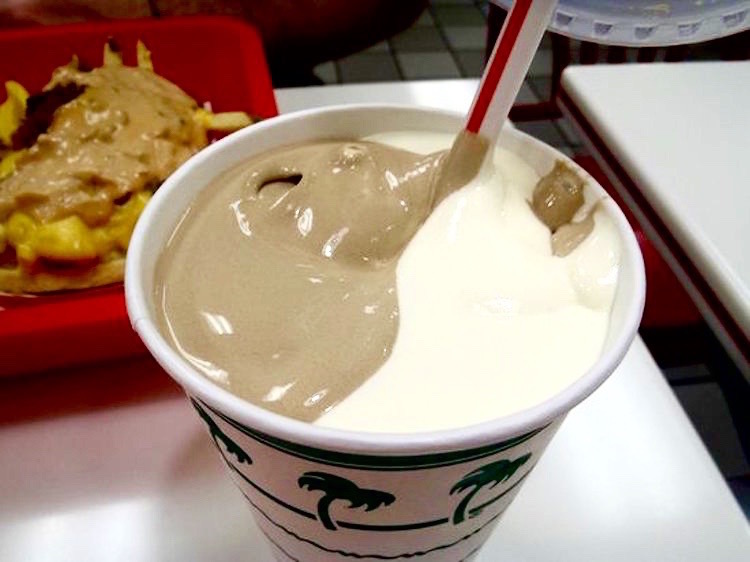 In-N-Out will gladly bring back your childhood memories if you request a vanilla milkshake to be combined with your favorite soda. But the best combination to get would be root beer + vanilla milkshake, giving you a simply decadent, rich Root Beer Float. 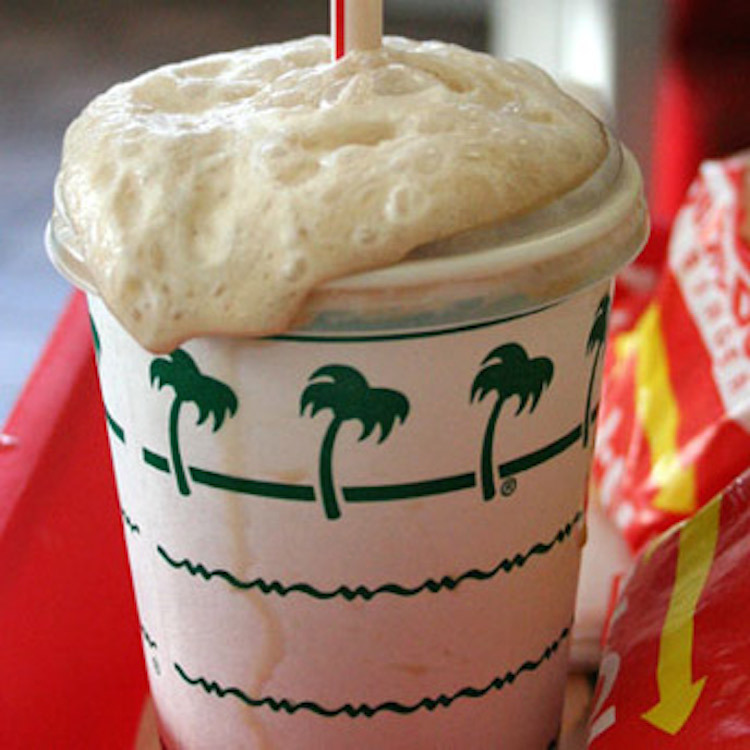 Granted, In-N-Out makes delicious irresistible milkshakes. But more often than not, we find ourselves gulping them down too quickly and what remains in front of us is an empty cup. And then we’re left craving for more. To ensure that all these creamy goodness last longer, simply request your milkshake to be served in either a medium or large sized soda cup. 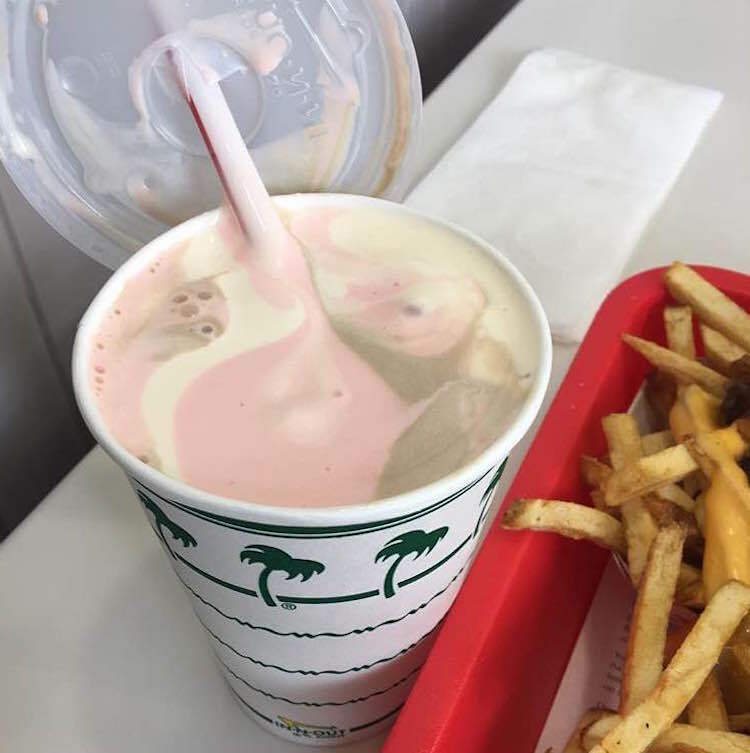 No In-N-Out experience would be complete if you don’t enjoy all their burgers, fries and shakes all at the same time anyway. #SpoonTip: You can order a shake “cut in half,” splitting your large milkshake into two separate cups. This is a lot cheaper than order two small milkshakes. It’s also perfect for sharing and when you’re watching the calorie intake.